"The original plan was not to sell milk, but our customers lapped it up, along with the cream. 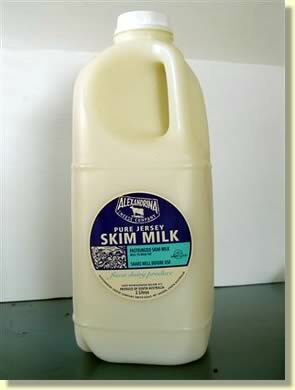 Part of the secret is that Jersey milk contains large globules of fat. 'The large globules help the feel in the mouth, and also digestion. Homogenisation smashes them. So we don't homogenise the milk. We're anti-smash!' Dan McCaul, explains." One Continuous Picnic: A gastronomic history of Australia. By Michael Syomns.